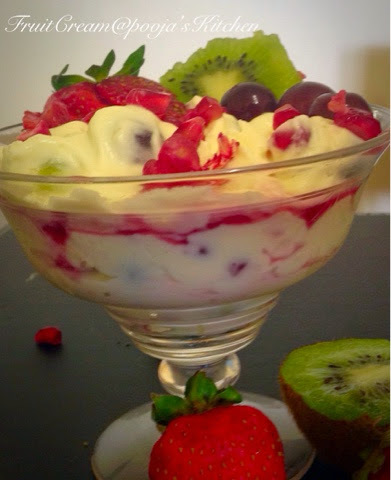 Fruit Cream: One of the healthiest, easiest and yummiest dessert..a treat for tastebuds and eyes both..can be made just in 5 mins when guests arrive uninformed..kids who don't like fruits, will love to have it. 300 ml heavy whipping cream. 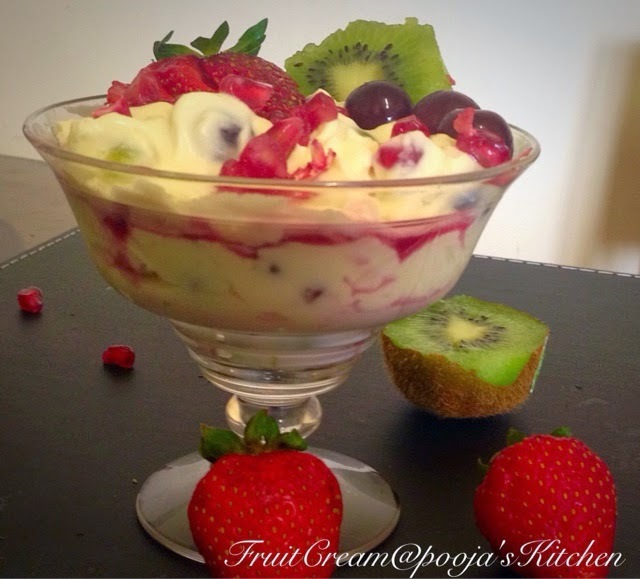 1 cup chopped fruits of your choice I used strawberry, black and green grapes, pomegranate, Kiwi fruit and pineapple. Add sugar to whipping cream and whisk until soft peak forms, whipping cream must be well chilled before whisking. 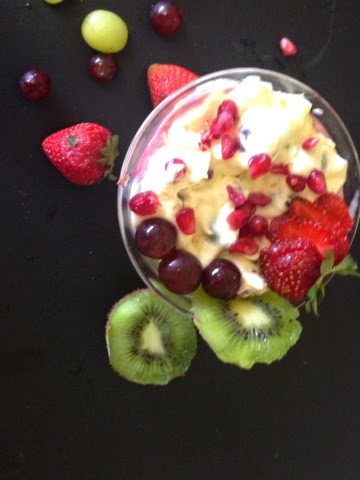 Fold in fruits gently, leave some pomegranate seeds and some fruits for garnishing.